Read Joyce windows reviews from consumers and contractors on costs and their product lines. Joyce windows took over Graef, a few years ago and are based out of Berea Ohio. They make a decent vinyl window, I would say it is a solid mid grade manufacturer. I don’t think I have actually installed any Joyce windows per se, but have handled tons of jobs that used Graef windows and never had an issue with them, and that is after 10 years of them being installed in homes. More on Joyce window prices. Joyce is a good window that I’ve used on a handful of jobs. They had some grid alignment issues with their line that used the super spacer, although it could have been the spacer issue as opposed to the window. They are definitely more of a smaller, more regional manufacturer, which is certainly not bad considering all the issues the larger manufacturers have gone through over the last ten years. I would compare them to say an Amerimax or a Harvey. Overall, I think they make a solid product with pretty good performance numbers. I would recommend several of their products to clients given the right budget and circumstances. 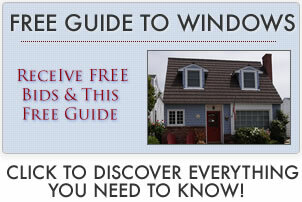 Read additional Amerimax windows reviews.